Acting Polish president Bronislav Komarovski is expected to announce the date of the presidential election later on Wednesday. Poland’s presidential election is due to be held in autumn nonetheless, but due to the tragedy it is to be held ahead of schedule. According to the country’s legislation, the early ballot will happen within 60 days from the day of the announcement, which means the election may take place around mid-June. At the moment there are two frontrunners for office: the twin brother of the perished president Yaroslav Kaczynski and the acting president Bronislav Komarovski. The tragedy may have changed the balance of political forces in the country, as before it was expected that the opposition might come to power. 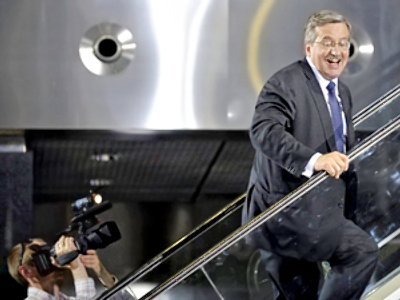 According to the recent polls, President Kaczynski was losing support among Poles. Yet, right now in Warsaw in the crowds there is no division between those who voted for Kaczynski or not; they are all unified in paying their last respects. 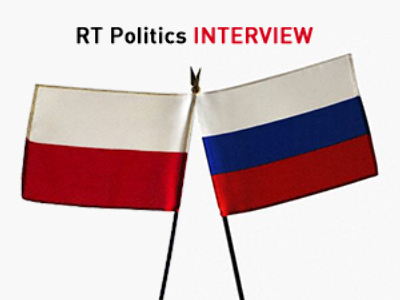 Piotr Kaczynski from the Center for European Policy Studies believes that acting president Bronislav Komarovski is the front runner in the upcoming elections. Speaking of possible changes in relations with Moscow, Gebert said that it is the prime minister, not the president, who decides foreign policy, and for once the president and prime minister will be from the same party, so some changes may actually take place. 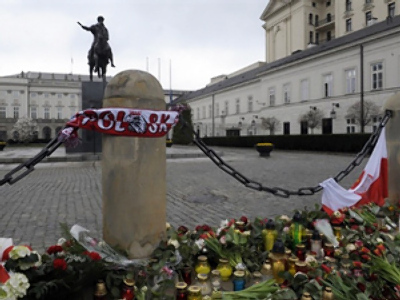 Thousands have been filing past the two coffins lying in state in the presidential palace in Warsaw to pay their final respects. 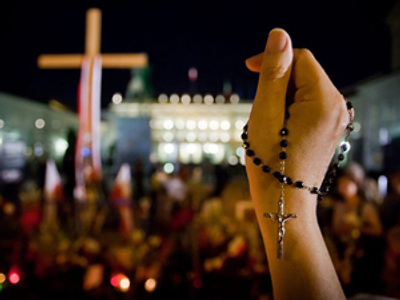 The last four days have been very tense and emotional across all of Poland, and it will remain the same for a long time even after the presidential couple is buried. The mourning period will continue until Sunday. According to authorities, Poland's late President Lech Kaczynski and his wife are to be buried on Sunday in Krakow's Cathedral, the traditional resting place of Polish monarchs and leaders since the 14th century. Several world leaders, including US President Barack Obama and Russian President Dmitry Medvedev, are expected to attend the ceremony. Polish activists are protesting the decision to bury Polish President Lech Kazcynski in the Polish kings’ shrine in Wawel Cathedral in Krakow. Protests were planned all over the country on evening of April 14, reports the Gazeta information portal. Protesters created a discussion group on Facebook with 35,000 members, Gazeta states. Demonstrations were planned to be held in such big cities as Warsaw, Krakow, Wroclaw, Gdansk, Lodz, Poznan and Katowice. Famous polish film director Andrzej Wajda warned that the decision to bury Kazcynski in Wawel Cathedral, next to Polish kings, could split Polish society, reports TVN24 channel. “We are turning to religious authorities to find a way to change this very unsuccessful decision, made in haste at a time of grief and pain,” the film director said. The pilots of the Polish Tu-154 could have realized that they were about to crash 3-5 seconds beforehand, the main Polish military prosecutor, Krzysztof Parulsky, was quoted as saying by the Polish press on Wednesday. “According to investigators’ data, the president’s aircraft personnel could have understood that the plane will crash three to five seconds before the crash,” Parulsky said. Investigators estimate that the speed of the landing plane was approximately 150-180 miles per hour, he added. After four days of investigation, experts have concluded that the pilots of the plane could have avoided the crash, according to a source close to investigation, the RIA Novosti news agency reports. “The investigation – reconstruction of the landing approach of the Polish President’s plane, and the results of decoding of flight recorder – have shown that the pilots had a chance to escape a collision with ground until the last second,” the source said. The crew commander, ignoring the warning about low visibility in the area of the Severny Airport, made the decision to land. During the landing the pilots entered the final approach, but then the crew understood that the plane wasn’t descending properly toward the runway, said the source. It was at this moment, the source claims, that the commander of the plane made the fatal mistake that caused the crash: he turned on the thrusters, and for as yet unclear reasons banked the plane to the right while simultaneously trying to gain altitude. As a result, the wing of the aircraft clipped the treetops and spun out of control. If the pilot had accelerated while gaining altitude in a straight line, there were would have been a strong chance of avoiding the crash, the source added. Meanwhile, DNA analysis of the victims will take one more week, until next Wednesday, according to the Russian Health and Human Services agency. The specialists are doing their best to complete the task as soon as possible. According to the Russian agency, Poland has shown understanding of the process. Meanwhile, the bodies of those identified are being sent to Warsaw. The next flight is to be on Thursday.